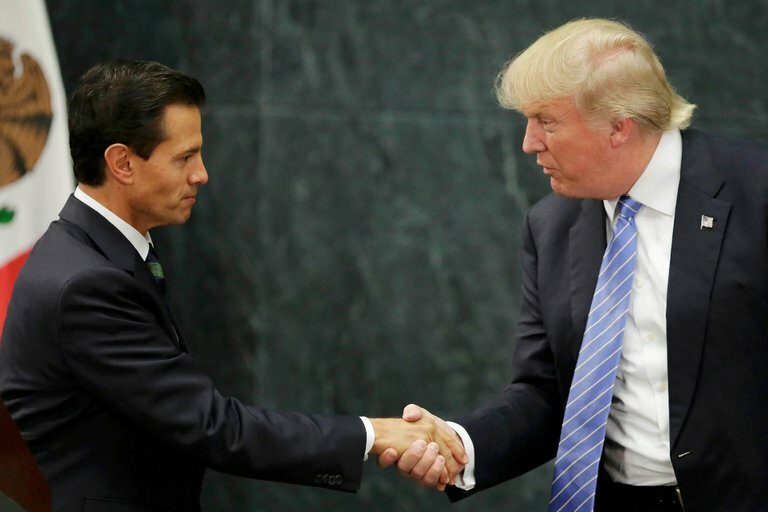 Donald Trump met earlier today with Mexico President Peña Neito on the subject of immigration policy, building the wall, and other topics of mutual interest. Trump’s anticipated speech tonight on Immigration, from Arizona, is being broadcast live at 9pm (6 pm Phoenix time) on C-Span. If your cable provider does not include C-Span, you can watch a livestream RSBN video via YouTube (h/t Sundance). The video below is from the Phoenix venue covering pre-speech interviews. It will probably segue straight into Trump's speech; I'll post another link if it does not. Or, if you need an embiggened image, go straight to YouTube here. And the mainstream media is complaining today about the lack of transparency regarding Donald Trump's meeting today with the President Peña Neito of Mexico. A contributor to Forbes, Thomas C. Stewart (retired New York investment banker and a former U.S. Naval Attack Commander who flew combat during the Gulf War) wrote about “The Day I Went Head-To-Head With Donald Trump”. It’s a perspective from the negotiating table. Whenever I hear someone complain that Donald Trump is “not presidential,” I reply, “Compared to whom? Which president are we talking about? . . . The overwhelming majority of Mr. Trump’s detractors have never sat across the table from him to hammer out a multimillion-dollar business deal. I have. So I think I’m in a better position than they are to judge his effectiveness as a top-level executive.
. . . He went through every element of our proposal with a gimlet eye, challenging our assumptions, forecasts and business models with an exactitude and a level of expertise that was most impressive. It was as if he had a Wharton business professor whispering in his ear. He wasted no time on civilities. He was brusque, impatient and dismissive of any information that he thought was inadequate, or any detail that he thought did not bear directly on the matter at hand. He cut right to the heart of things. The senior members of my negotiating team were the products of privilege and Ivy League schools, and were highly successful executives in their own right. They were not used to this kind of treatment. But for my own part, I had not only been an attack flight officer in the first Gulf war, I had also driven a truck through some of New York’s roughest neighborhoods. So I took it all in stride. Mr. Trump is a New Yorker, I reasoned. Fine. So am I. We can speak the same language—even if that language is rather coarse to some ears. We understand each other. 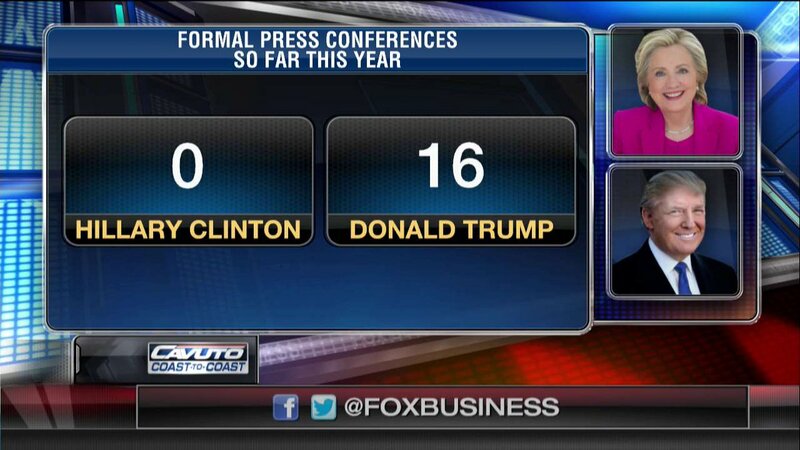 Hillary Clinton is the first and only nominee for President who never held a press conference during the entire Democrat primary race. . . . If you look at Hillary Clinton’s campaign calendar –SEE HERE– . . . there are 15 listed events. However, . . . what you notice is that Secretary Clinton is not actually attending 14 of these events; they are being attended by surrogates. The only event Hillary Clinton is actually attending is the last one on September 26th, the debate. Speculations abound: is it her health? Is the fix in (if so, why is she still fund-raising?) Is she staying out of sight to avoid a further drop in the polls due to the unlikeability factor? Whatever the explanation, it is bizarre behavior in a presidential candidate. Three from a top political cartoonist . . . If your neighbor or relative relies on, say, the New York Times or ABC news or local TV news for his/her information, you can be 100% sure they are NOT getting the news. I’ve had a tiny bit of success in persuading family and friends to expand their sources of news, as that approach is less confrontational than criticizing particular news sources. A voter who begins to realize that the reports they are relying on are incomplete, heavily edited, selective, etc. will perhaps go to the next step and further expand their sources of news. A few people I know have had the ultimate Epiphany when they realized to their shock and horror that The Plain Dealer, The New York Times, CNN [or fill in the blank] are not fair and balanced. (For what it is worth, I don’t rely on Fox much, either.) But if you have any relatives or friends who will tolerate a conversation on the media and news, maybe they’ll consider a suggestion that they try expanding their sources of news, at least for a few days just to see what they find. Liberal mainstream media bias for Hillary Clinton is the single biggest factor so far in this election season contributing to her lead in the polls. The nightly news on NBC, ABC, CBS, NPR, the NY Times, Washington Post, the morning and late-night TV shows, CNN, MSNBC, and all the websites associated with these sources are strongly and openly behind Hillary and her “first woman” status. 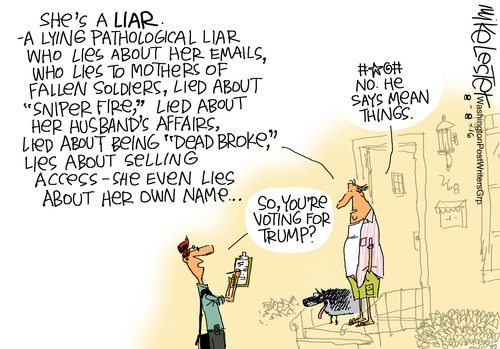 Many so-called journalists have dropped any pretense of objectivity and are quite unashamedly and openly supportive of Clinton, while they derisively dismiss Trump as an unserious nonentity. Ostensibly, it is Trump’s presence in this year’s race that has caused liberal bias to be so prominent, but no rational observer could possibly think that the media would show any less favoritism towards First-Woman Hillary if her Republican opponent were Cruz, Rubio, or Kasich. 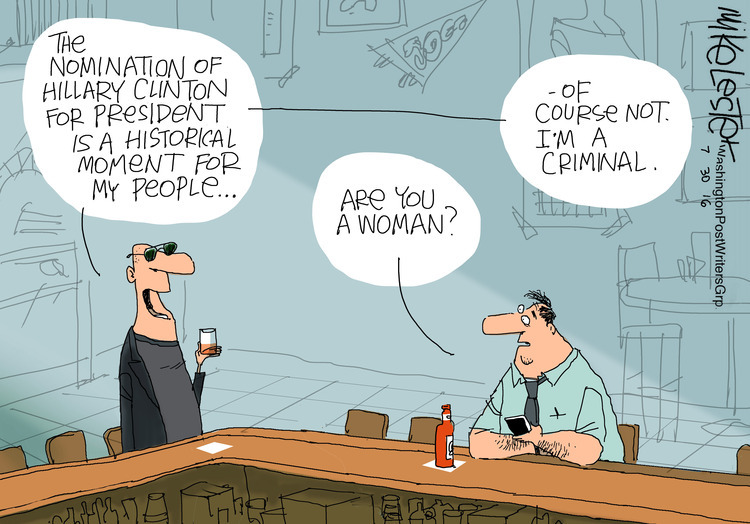 Hillary has many well-known vulnerabilities and character flaws: her role in Benghazi debacle and the subsequent rewriting of history in order to avoid accountability and blame, her non-accomplishments in every major foreign affairs arena where she played a role as Secretary of State, her private e-mail server and her continual distortions and parsing in an attempt to deflect scrutiny and shift responsibility (“Colin Powell told me to do it!”), and of course, the widening-by-the-day Clinton Foundation corruption controversy. These factors are completely independent of who her opponent happens to be. . . .
. . . The "circular firing squad" that Republicans have created this year because of Trump -- who won the primaries fair and square, regardless of anyone's personal feelings about him -- is truly idiotic and inexplicable. The Republicans need to remember who their real opponent is in 2016 -- it’s not the “untraditional Republican” Donald Trump, it’s the liberal media propping up an astonishingly deficient Hillary Clinton. . . .
Election Justice USA (EJUSA) is a national, non-partisan team of seasoned election integrity experts, attorneys, statisticians, journalists, and activists. The circumstances surrounding Arizona’s presidential primary on March 22nd, 2016—widely acknowledged as one of the most disastrous election days in recent memory—were the lightning rod that catalyzed the formation of EJUSA. Throughout the course of the 2016 presidential primary season, EJUSA has emerged as a leader in the fight for honest elections, pursuing legal action in several states in an attempt to counteract specific forms of targeted voter suppression and election fraud. OHIO Attorney Bob Fitrakis has filed a lawsuit against Edison Media Research asserting that Democratic presidential candidate Bernie Sanders actually earned more pledged delegates in the primaries than were shown by the results. The suit seeks the release of raw exit polling data which documents dramatic differences between exit polls and electronic vote totals in eleven states in the 2016 presidential primaries. Exit polls have been adjusted to fit electronic vote totals since 2004, when they appeared to show Kerry winning against Bush. At that time, Karl Rove (then an assistant to George Bush) developed a theory to explain the alleged unreliability of exit polls. After citizens on the internet began to notice wide discrepancies in this election, the exit poll sponsors, The Media Consortium and Edison Media Research, canceled exit polls for all remaining states in the primary season. The lawsuit demands that media organizations release the raw data for the 2016 exit polls for the first time. Of ten places where exit polling has missed by more than 7% (South Carolina, Alabama, Georgia, Massachusetts, Tennessee, Texas, Mississippi, Ohio, New York, California), seven are states where all or the majority of election jurisdictions are using machines ten years old or greater. For six of these seven states (excluding California which only included an early voting poll with a very large discrepancy of 14- 22%) the average initial exit polling miss is a whopping 9.98%. Bear in mind, this report analyzes the Democrat Party primary voting. 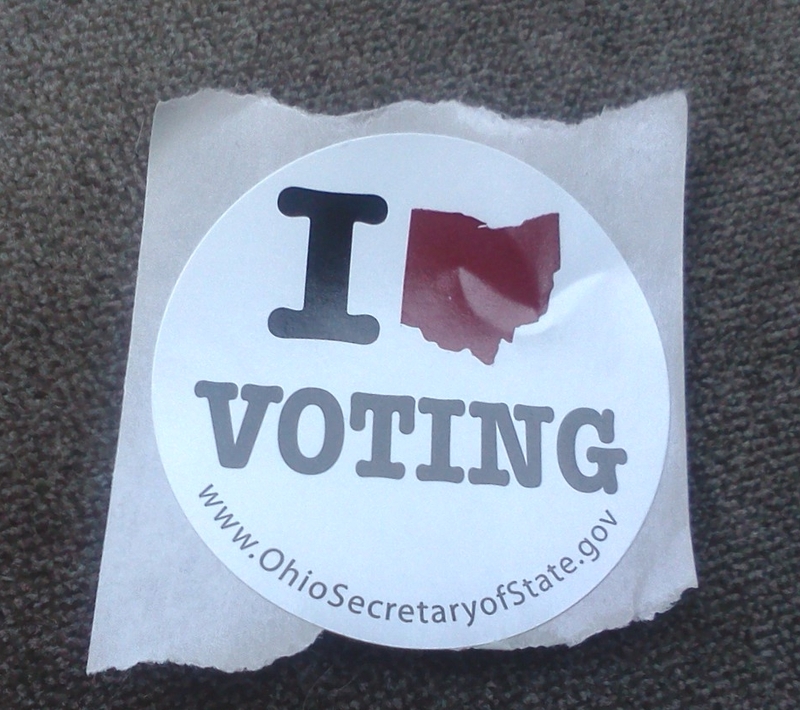 I vote in Cuyahoga County, I mark my choices on a paper ballot that is fed into a scanner for tabulation. At least in that case, there is a paper trail that can be used to reconcile votes cast with final results. That will not be the case in many other counties. Scary. Tonight, I am asking for the vote of every African-American citizen in this country who wants a better future. The inner cities of our country have been run by the Democratic Party for 50 years. Their policies have produced only poverty, joblessness, failing schools, and broken homes. It is time to hold Democratic Politicians accountable for what they have done to these communities. It is time to hold failed leaders accountable for their results, not just their empty words. Time to hold the Democrats responsible for what they have done. For twenty years I and many others on the right have waited for Republican leaders to do just this. 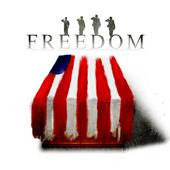 Until now we have despaired of seeing this happen in our lifetimes. But here is Trump articulating the very message we have been waiting for - support for America’s inner city poor – a message that should have been front and center of every Republican campaign for the last fifty years. 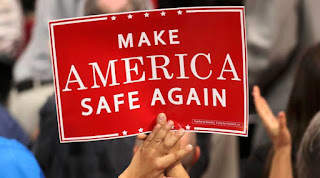 Tying the fight to liberate African Americans and other minorities from the violent urban wastelands in which Democrats have trapped them to his other proposals– secure borders, law and order to make urban environments safe, jobs for American workers, putting Americans first – these are a sure sign that Trump has an integrated vision of the future towards which he is working. Call it populism if you will. To me it seems like a clear-eyed conservative plan to restore American values and even to unify America’s deeply fractured electorate. 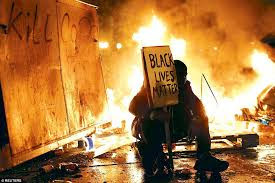 I love this line: “America must reject the bigotry of Hillary Clinton who sees communities of color only as votes, not as human beings worthy of a better future.” Yes African Americans and other Americans too are suffocating under the racism of the Democratic Party which takes African Americans for granted and lets the communities of the most vulnerable sink ever deeper into a maelstrom of poverty and violence without end. Read the rest here. Whether you support Trump or not, his message should be heard by anyone who considers him- or herself a Tea Party person. and most of their appearances stumping for Trump are over at YouTube, such as here; just search for Diamond and Silk. Rep. Marcia Fudge could learn from these two marvelous ladies. 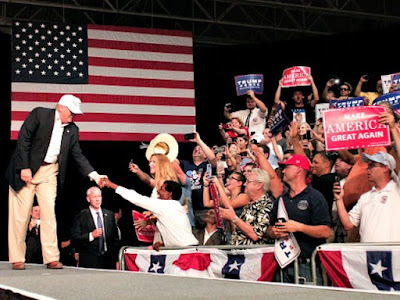 UPDATE: See David Horowitz's FrontPage analysis of Trump on the African-American vote: “Donald Trump’s Lincolnesque Moment”: A landmark in the emergence of a new Republican Party” HERE. Appeals court says Ohio can scrap 'Golden Week': A federal appeals court panel ruled Tuesday that Ohio can shorten its early-voting period, handing a victory to Republican Secretary of State Jon Husted over Ohio Democrats who challenged the change. 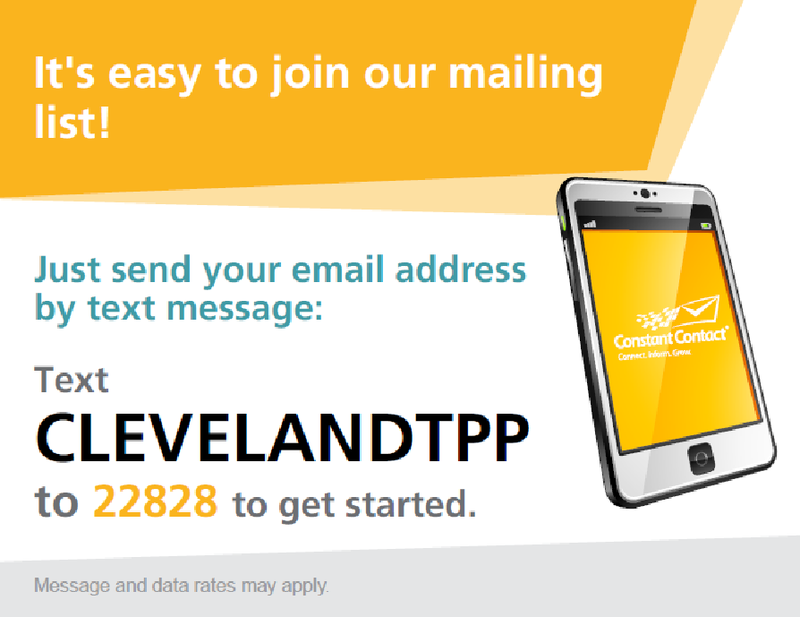 As cleveland.com's Robert Higgs explains, the 6th U.S. Circuit Court of Appeals panel overturned a lower-court ruling that the state could not get rid of its first week of early voting – the so-called "Golden Week," during which Ohioans can register and vote early at the same time. Ohio Democratic Party chairman David Pepper indicated the party may appeal. Who benefits from “Golden Week” except those looking for opportunities to stuff the ballot box? This ruling is at least a start to restore some integrity to Ohio voting. 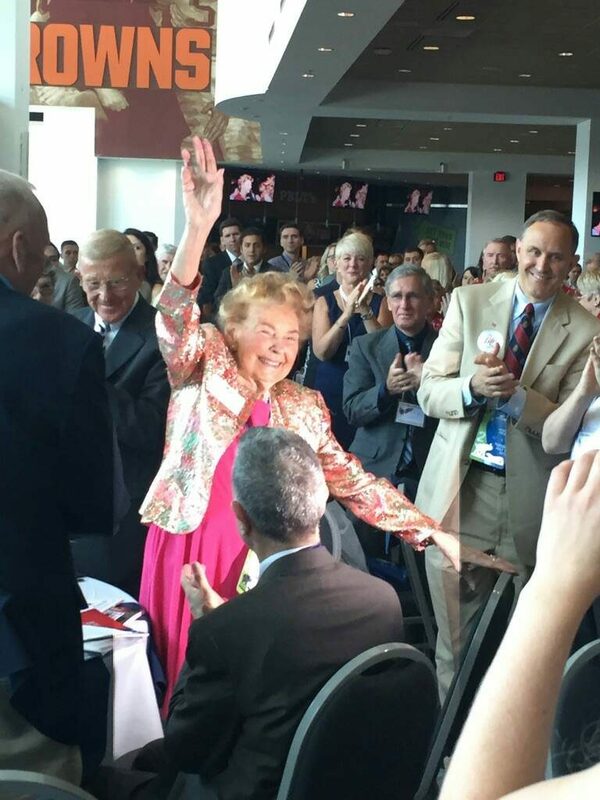 Full story highlighting Phyllis Schlafly's accomplishments is here. 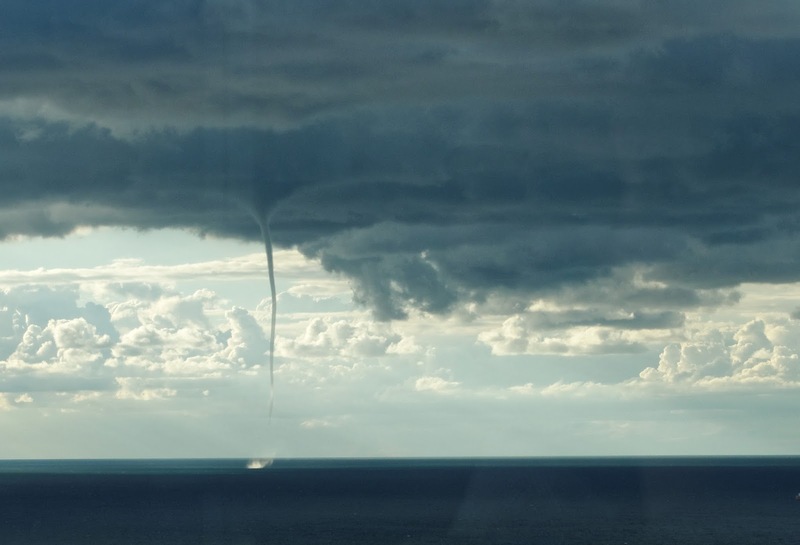 This evening at around 7pm, a waterspout appeared over Lake Erie and was visible from a Lakeside Avenue location. Note the spray where it touches down. Last month [Treehouse] shared a warning to ignore the predictable post convention media polling nonsense. That warning remains valid today. Just because the media is predictably beginning to sell poll stats beneficial to Donald Trump doesn’t mean they are any less manipulated. On June 15th aggregate media polling had Hillary Clinton leading by 15 points. On July 15th the same media polling had Trump +17. On August 8th the pendulum swing was back to Hillary +15,…. and now today the media signals of a tied race begin. It’s all nonsense. All of it. Polls don’t swing 20 to 30 +/- points every few weeks. The media outlets conducting these polls have the same bias in their statistical representation as they publish in their daily event articles. It’s all about the media “narratives” – manufactured for daily consumption to control voters who don’t question the information. Watch your evening news program and see how these media talking heads set up a “discussion” based on their phony-baloney polls, reports, etc. It’s not just CNN. It’s the alphabet networks, Fox, or, if you’re still getting news from the mainstream print media, it’s the NY Times and all its derivatives. 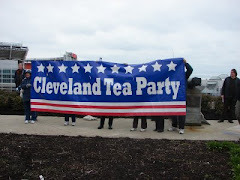 Alexandria, VA – Today Great America PAC, the leading independent committee supporting Donald J. Trump for President, announced new State Leadership Teams in Ohio and Pennsylvania, two critical battleground states essential to victory in November. These leaders are the first of several battleground teams coming together in key states that will be announced soon as part of Great America PAC’s extensive GOTV operation. “Donald Trump has built tremendous grassroots support across the country and we are committed to maximizing it in battleground states in the final months,” said Ed Rollins, Great America PAC lead strategist. “We are a full-service PAC expanding and improving the model of Super PACs by doing far more than just TV ads. We’ve done the critical spade work of identifying millions of Trump supporters in recent months and now our robust ground game will work to turn them out in the November election”. Great America PAC is the premiere pro-Trump Super PAC led by veteran Republican strategist, Ed Rollins. The group has raised and spent over $9 million in support of Donald Trump’s candidacy, broadcasting more than 5,000 TV spots, secured over 140,000 donations, and built a file of millions of active, newly engaged Trump supporters across the country. Clarke expanded on the topic in a longer piece at The Hill (h/t HotGas). Our victory in the Cold War relied on a bipartisan and international consensus. That is what we must have to defeat Radical Islamic terrorism. But just like we couldn’t defeat communism without acknowledging that communism exists – or explaining its evils – we can’t defeat Radical Islamic Terrorism unless we do the same. This also means we have to promote the exceptional virtues of our own way of life – and expecting that newcomers to our society do the same. Pride in our institutions, our history and our values should be taught by parents and teachers, and impressed upon all who join our society. The rest is here. Or if you prefer to watch on video, it’s here. Do you believe what you read and see in the media? Psycholinguistics and cognitive science have long been interested in linguistic relativity – the concept that language influences way of thinking. George Orwell, the author of Nineteen Eighty-Four, also considered: “But if thought corrupts language, language can also corrupt thought.” In the dystopian novel, Orwell depicted a totalitarian state using controlled language and “thought-crime” charges to keep people from thinking. Throughout history, real-life dictatorships have been known to “pre-define” reality via meaningless slogans, political correctness, and punishment of cerebral dissent. Where did ol’ good logic go? The processes used in thinking and reasoning should be natural to homo sapiens, and it’s impossible not to have a brain-ache when you clearly see that it´s not the case. Apparently, the only news you’ll be getting from now until the election is the media’s own insane interpretation of every little thing Trump says or does. . . .There’s no way to phrase something so that it can’t be lied about. Just when you think it can't get any worse. . . .
J. Christian Adams is an election lawyer who served in the Voting Rights Section at the U.S. Department of Justice. His New York Times bestselling book is Injustice: Exposing the Racial Agenda of the Obama Justice Department (Regnery). 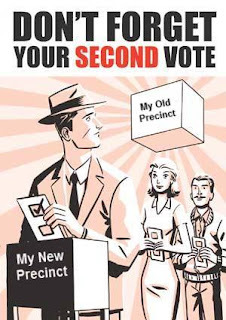 His website is www.electionlawcenter.com. The integrity of our elections [is] suffering from a coordinated, multi-million dollar attack on multiple fronts. It’s far more complicated than one centralized high-powered conspiracy to “rig” the election. A more sophisticated understanding of what is happening is essential to combat the real threat to our elections. Large brick-and-mortar organizations with multi-million dollar endowments are fighting to undermine the integrity of American elections. These organizations, such as Project Vote, Demos, the ACLU, Advancement Project, and the League of Women Voters have vast financial resources. They have used these resources in key states such as Ohio, Florida, Virginia, North Carolina, Wisconsin, and elsewhere to attack election integrity measures. They bring attacks against Voter ID laws, but they also bring more important efforts, such as attacks against citizenship verification. I am involved in litigation across the country to help election integrity. In one lawsuit in a swing state, we discovered that non-citizens were voting illegally in Presidential elections. This is both a federal and state felony. When we asked the election supervisor for records showing referral to law enforcement officials, none existed -- because no referral was ever made. Never mind that dozens and dozens of aliens were participating in the election process in just one county. Imagine how many participate statewide. Yet nothing was done to prosecute the illegal voting -- so word spreads through the community that illegal voting is a hobby that goes unpunished. These same big money organizations send swarms of lawyers to the smallest court hearings, so many that sometimes there isn’t enough room for them in the courtroom. Non-citizen voting helps the left win elections. Most of the groups in this traveling roadshow are 501(c)(3) charities. I doubt very much that Lois Lerner’s Exempt Organizations Unit at the IRS has sent them a letter asking for their social media passwords or the text of prayers recited at meetings. Republicans focus on policy. Democrats focus on process. Democrats and the left know if they alter the rules, they can win the elections. Better still, if they alter the rules and brand it a civil rights matter, they disguise their partisan goals with something that sounds better. What do I mean by process? Years ago, we all voted on Election Day. That made it harder for the machine to motivate the unmotivated on one single day. Now? The election is spread out over weeks of early voting. We used to register to vote in advance. 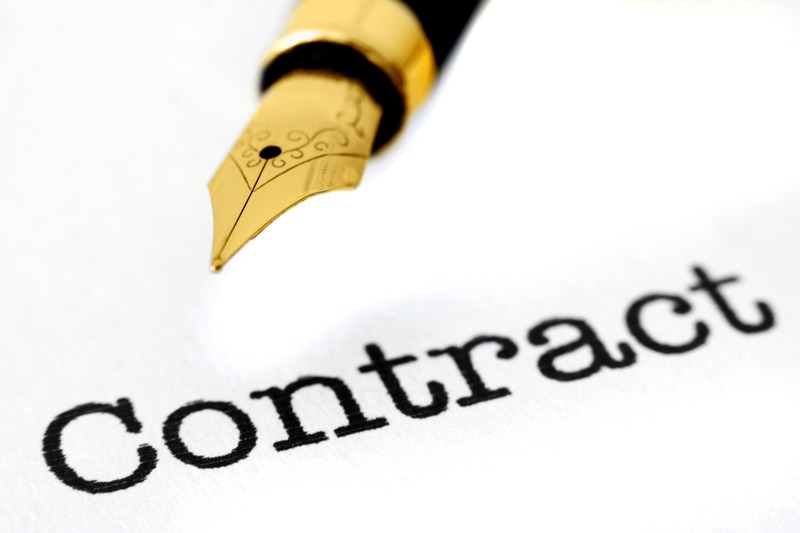 Now, instant registration is another process that helps the demographic that has difficulty planning ahead. It means you can register and vote at the same time, making it harder to verify eligibility. In Ohio, you could register to vote and vote weeks in advance at the same time. When Ohio discovered that California and New York residents such as Amy Little and Yolanda Hippensteele were registering and voting simultaneously for Obama in 2008, Ohio changed the law to eliminate this “Golden Week.” Naturally, the Big Money Organizations (See #, above) sued. Bush-appointed federal judge Michael Watson ruled that such a change violates the Voting Rights Act and struck down the election integrity measure. 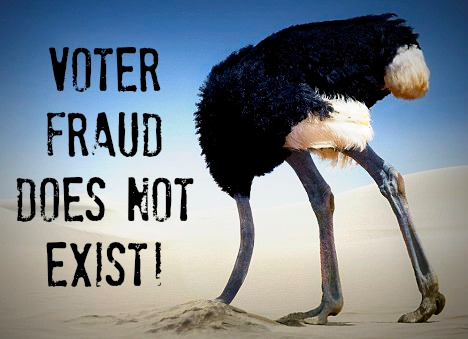 Out-of-precinct voting, mandatory voter registration, felon voting, dirty voter rolls, underage registration, and simple refusal to enforce election integrity laws are process priorities of the left. You don’t need someone sitting in a smoke-filled command bunker to rig an election. There are more subtle and more effective ways to affect elections. The well-funded organizations fighting to block election integrity laws are helped by some of the nation’s largest law firms -- for free! These law firms use the inflated fees their corporate clients pay to subsidize helping left-wing groups attack election integrity laws. The attack on Voter ID isn’t the only instance where large law firms donate their free time to leftist organizations with multi-million dollar endowments. Nearly any time there is an attack on election integrity, Big Law helps. Millions of voter registrations are wrong or out of date. Hundreds of counties, including many in swing states, have more registrants than eligible people alive. That doesn’t mean millions of votes are being cast illegally -- but corrupted rolls provide the perfect environment for election corruption. It’s what allowed Democratic Congressional nominee Wendy Rosen to vote twice for President Obama in both Maryland and Florida. The guiltiest culprit for corrupted rolls is the Obama Justice Department. It refuses to do anything about the failure to keep rolls clean. Their failure to act is both deliberate and ideologically driven. If Trump becomes president, sweeping away the lawlessness inside the Justice Department that turned the federal government into silent partners with election gangsters like Wendy Rosen should be a top priority. It’s no accident that vote fraudsters across the country, including Melowese Richardson and others, get a free ride from this DOJ and never face criminal prosecution. The final way our electoral system is endangered is through the pack of lies pushed by academics and the media. If you pay attention to legacy media, voter fraud doesn’t exist -- only racists want election integrity, and Jim Crow is back. When it comes to covering election integrity, some of the media are lazy, the rest are activists with by-lines. Is the November election rigged? Certainly not in the way you might have thought it was. The election is afflicted with something far more dangerous than a single plot to flip the outcome. The affliction is diffuse, decentralized, and funded by millions of dollars. Read the rest here (and weep).